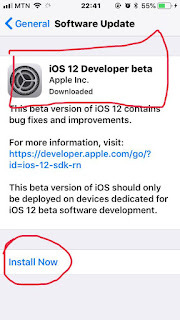 How To Install iOS 12 Beta 1 Free No Computer Required. What's going on guys. iOS 12 beta 1 is here and am going to show you how to download it right now without waiting any longer. 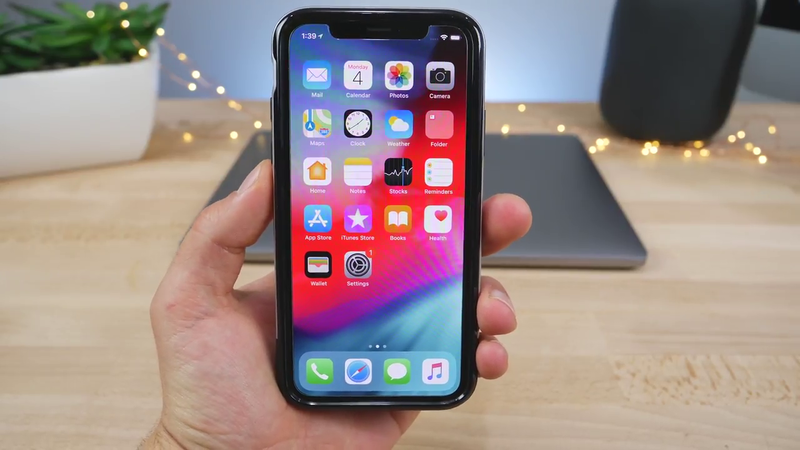 I wrote earlier on what to expect from iOS 12 Beta 1 Update. check it out. So just so you know, you don't have to be a developer to download iOS 12. I was told officially this method is unofficial and it's using a potentially harmful profile. just saying it's unlikely that it will ever do anything to your Apple device, but people can sneak some things and so for your own safety I am warning you this may or may not be dangerous for your device. But in the end, you will be getting iOS 12. I've been running it for a couple of moments here. Honestly, I am not feeling much difference whatsoever. It's supposed to be a performance godsend for iOS. It just really the same pretty much but that's on my iPhone and maybe it's differs on other devices. Either way it is super simple to install. You guys can get it downloaded on your device within moments. So, I can't speak for the stability or the bugs, but it doesn't feel really any different than iOS 11. For me it barely looks any different either noticing a little change here and there little tiny things but no major thing. Of course, there is a couple new apps which I would try out later but let’s go ahead and show you how to install it. Now this method may be prone to change at any moment. 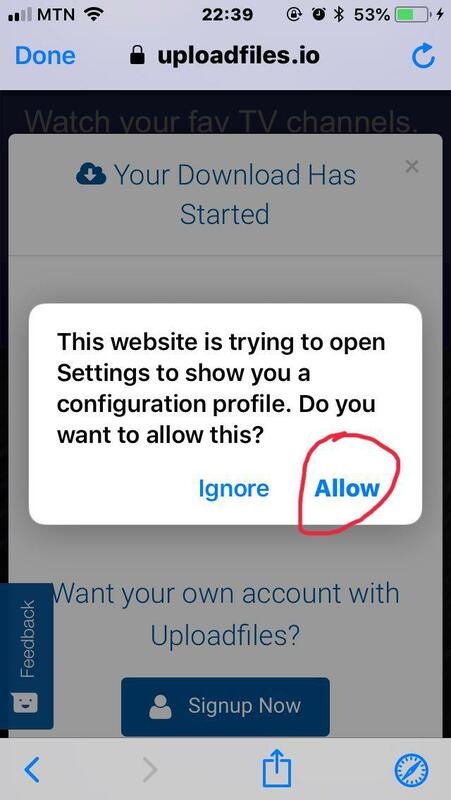 Once you go to download, it will ask you to go ahead and allow and install a profile and this is what you are going to get. You're going to need to click install and then enter your pass code and immediately it will ask you to restart after clicking install one more time. 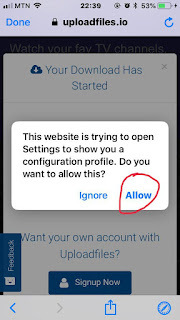 Restart your device and navigate your way through settings into Software Update. And inside you will see this software update in there. 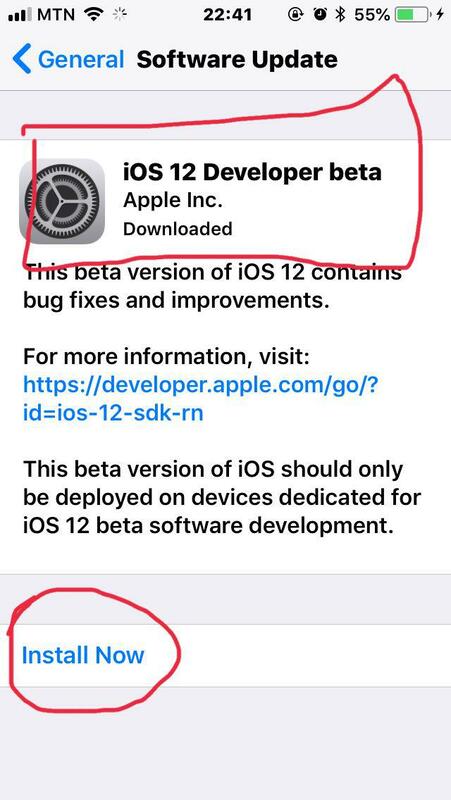 iOS 12 developer beta. It's a normal size of an update of this caliber but anyways go ahead and click install now and you will be on iOS 12 in just a moment It will take about 10 to 20 minutes to finish install. 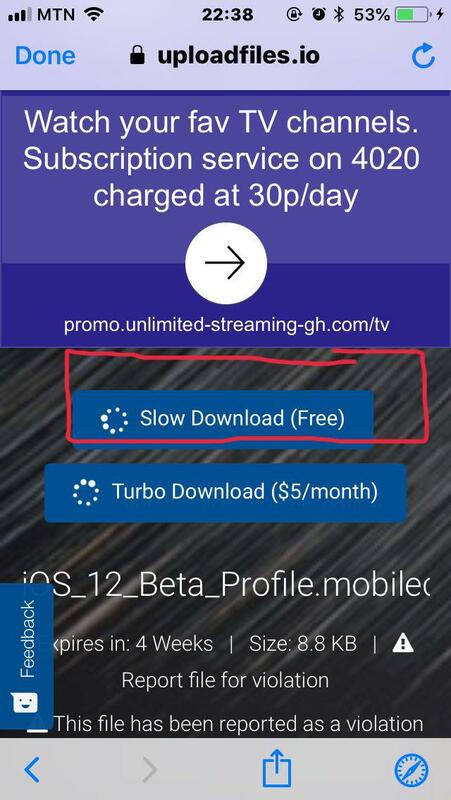 If you successfully installed, you’ll see not much difference here. Oh, and by the way before you opt to note that you will not be able to go back down to iOS 11 in a downgrade and preserve your data. Most of the data will not be compatible anymore and that's most cases but sometimes you are able to download maybe just some data, so I recommend you backup your phone with iTunes before you upgrade to iOS 12. The download itself takes like a minute. It's not super quick because a lot of people are trying to get to it right now. I'm going to go ahead and give you guys a full overview here in just a minute. Yeah all around. There are new animations added when switching between apps. It's kind of cool. So that's difference. There's just not much that's changed I'm surprised. I thought there'd be so much more. No differences in the camera app. Music looks the same and it's a bit disappointing. you know you expect a little bit more but hopefully you can find some bigger changes in their guys But yeah, I can't speak for the long term of it but it seems to be pretty stable right now. I might even consider running it on my personal iPhone if everything goes good here. Otherwise guys enjoy iOS 12. Stay tuned for the subsequent updates where I dig in and find all those smaller changes.